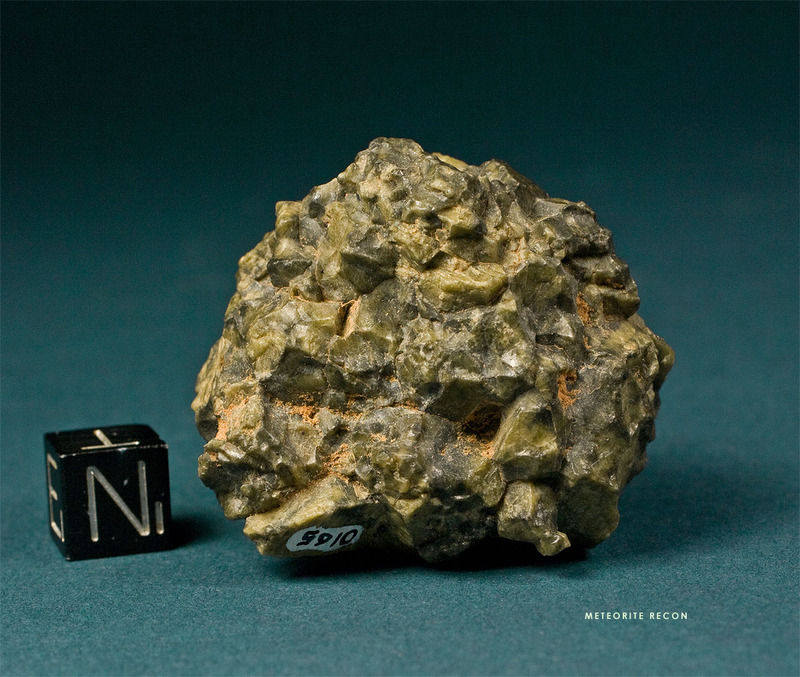 Very rare monomict Ca-poor diogenite. Witnessed fall from June 1931. Tatahouine exploded at the end of the cold flight into a cloud of fragments with only a handful exceeding 39 grams in weight. This golfball-sized specimen has still Tunesian soil adherent.